Is physical activity in childhood and adolescence a key to lifelong health? If yes, do the longer, lighter days of spring make a difference? The longer, lighter days of spring provide more opportunities to be more active but do European youngsters take up these opportunities? 16,000 children and their families across Europe are being investigated by the I Family Study to find out. “We have found from our previous work in the UK, using similar GPS technology to track activity that is being used in the I Family Study, that time spent outdoors and associated physical activity is greater the more daylight there is available. However, levels of physical activity are just one element being investigated by I Family to assess the foundations of lifelong health. Food choice, sleep patterns, genetic & behavioural influences and family lifestyle are all under the spotlight. 16,000 children and their families are being studied by I Family in 8 centres across Europe – Belgium, Cyprus, Estonia, Germany, Hungary, Italy, Spain and Sweden – to unravel the interplay between these complex lifestyle, behavioural and genetic factors. The multi-disciplinary research of the I Family Study will help unravel these factors, identify effective interventions and support policy development at European, national and local levels, enabling more families to make healthier choices. 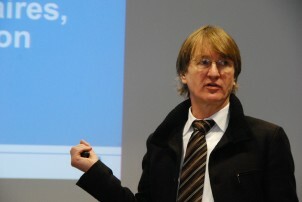 The I Family Study, funded by the European Commission Contract Number FP7 266044 (KBBE 2010-4), is coordinated by the University of Bremen and the Leibniz-Institute for Prevention Research and Epidemiology-BIPS GmbH, under the joint leadership of Professor Wolfgang Ahrens and Professor Iris Pigeot with Dr Alfonso Siani of ISA-CNR in Italy. Interviews are available with I Family Co-ordinator Wolfgang Ahrens, and Principal Investigators of the Study & Cohort leads in 8 Study Centres (see below). Contact Rhonda Smith, Minerva on +44(0)7887-714957 to arrange interviews and for further media information. 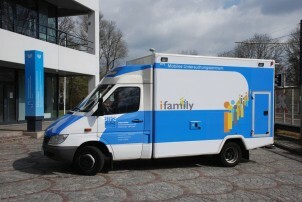 Full information on I Family is available on the website www.ifamilystudy.eu where the project brochure can be viewed and downloaded. Click on the national flags to access information from each of the 8 cohort centres about their study arrangements in their native language and English. The I Family Study is an EC funded project under Framework 7 of the KBBE programme running from March 2012 to February 2017. It has 17 partners, working across 12 countries and with cohorts in 8 European countries – Germany, Italy, Sweden, Hungary, Cyprus, Estonia, Spain and Belgium. The I Family Study is re-assessing the families first engaged with the IDEFICS study when children were below 10 years of age now that they move into adolescence – the ‘tween’ years – identifying those families that have adopted a healthy approach to food and eating habits and those that have not. I Family is adopting a holistic approach by also investigating the biological, behavioural, social and environmental factors that drive dietary behaviour as children journey towards adulthood.